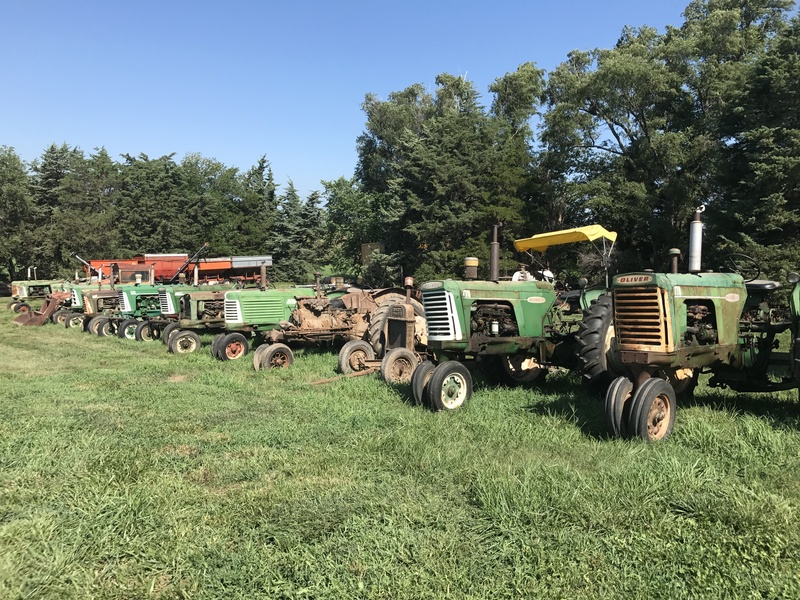 ESTATE AUCTIONSATURDAY FEBRUARY 23rd 2019 at 10:00 A.M.Location: 1680 County Road E Wahoo NEDirections: from Wahoo 6 miles South on Hwy 77 to Co Rd E then 3/4 mile East"Blizzard Date" Saturday March 2ndCar, Combine & Restored Tractors sell at NoonPreview by appointment only! 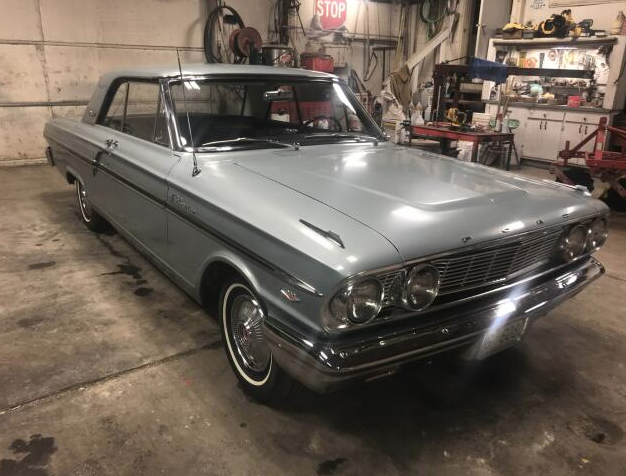 CAR: 1964 Ford Fairlane 500 2dr Sedan, 260 V-8, Auto, PS, 75,808 original miles! 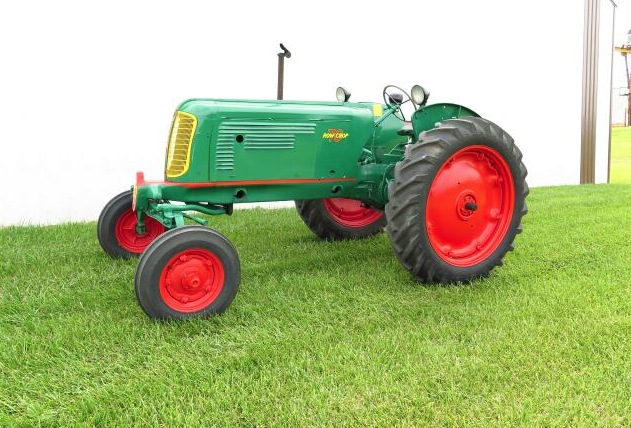 TRACTORS: Restored Oliver’s-70 Hart-Par S#202541, Row Crop, Single Front Wheel, New Rubber; 70 NF, New Rubber S#245239; 70 Standard, New Rubber; 70 S#244831, WF, Cast Front Rims, New Rubber; 70 S#255773 NF w/2 Row Mounted Cult, New Rubber; 60 S#601544, NF w/2 Row Mounted Lister; 88 S#120916 NF, Factory WF, Live PTO, 13.6x38 New Rubber; 550 Diesel S#67180-519 Utility 12.4x28 New Rubber; Super 88 S#25210-812 Standard 18.4x30 New Rubber; 880 Diesel S#87-95-?? NF, Frt. Slab Wts, Dual Hyd, 15.5x38 New Rubber, Power Adjust Rims; 770 Diesel S#62384-721 NF, Dual Hyd, 15.5x38 New Rubber; 660 NF, S#83-598-606 New Rubber; Super 44 S#1571400 New Rubber;70 S#247324, NF w/Mdl.4 2 Row Corn Picker, New Rubber; 440 S#F140-497, 12.2x24 New Rubber; 1800 Diesel S#124-875-842, WF, 3pt, Dual Hyd, Frt. Slab Wts, New Frt. Tires, 16.9x34 (rubber fair); 1600 Gas S#135-645-607, WF, Dual Hyd, 15.5x38 New Rubber; 990 Diesel S#87-287-943, 3-71 Detroit, 18.4x34 New Rubber; Mdl.33 S#304406, Grain Master Self Propelled Combine (painted inside & out! 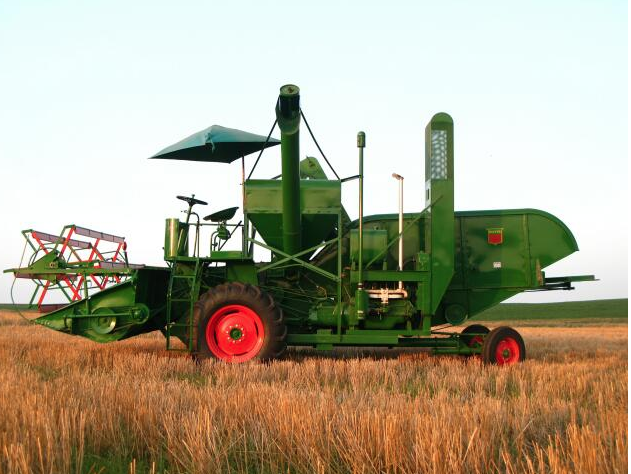 ); Other Restored Tractors/Plows: JD 730 Diesel S#7311892 Swartz WF, Pwr-Trol, PS, Fenders, Elec. Start, Factory JD 3pt, 18.4x38 (good rubber); Ford 6000 S#18061, Diesel WF, Selecto Speed, 15.5x38 New Rubber; Massey-Harris 444 S#71434, WF, New Rubber; Massey-Harris 44 S#44-GR-8769, NF, 13.6x38 New Rubber; Massey-Harris 44 Special S#76677IMI, WF, w/3 Bott. Mounted Plow; Ford S#I485 5 Bottom 3pt Semi Mounted Plow; Ford 3pt 3 Bottom Plow; Massey-Ferguson Mdl.72 S#009089, 3pt 4 Bott. Semi Mount Plow, #550 3pt 3 Bottom Plow Rear Steel, Plow Master 2 & 3 Bottom Plows (red & yellow), Asst’d Plow Lathes & Coulters.Original Oliver’s: 1550 Gas S#190-112-504, NF, 13.6x38 New Rubber (hyd. issue); 770 Gas S#61-728-721, NF, Factory 2pt/3pt, Fenders, 13.6x38 (good rubber); 770 Diesel S#68-747-735, NF, Rear Wts, Fenders, 13.6x38 (good rubber); 18-27 S#108210, NF, Fenders 13.6x38 fair Rubber (not complete); 77 Gas S#346749C NF, Fenders; 880 Diesel S#117-216-873, WF, Dual Elec. Hyd, Fenders, 15.5x38 (good rubber); 880 Diesel S#116-206-872, WF, Fenders, Rear Wts, 15.5x38 (fair rubber); 880 Standard S#75-348-873, Factory 3pt, Fenders, 16.9x30 (fair rubber); 770 Gas S#175-537-035, NF, Dual Elec. Hyd, Fenders; 770 Gas S#172-*360-021, WF, 2pt/3pt, w/Dual Loader, 7' Bucket & Tractor Kab 13.6x38 (fair rubber); 88 Gas S#131159C, NF, Dual Elec. Hyd, Fenders, Side Shields, 13.6x38 (good rubber); 66 Gas S#421691C, NF, Fenders, 11-38 (fair rubber); 66 Gas S#428383C, NF, Hyd. 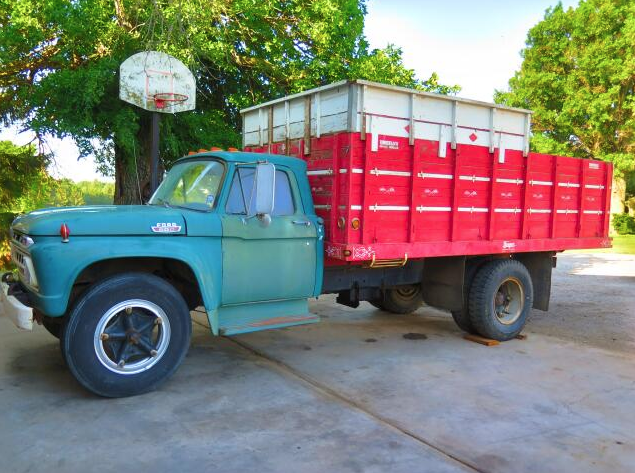 Hitch, 11.2x38(new rubber); Farmall H S#218177, NF 12.4x38 (good rubber); Oliver Mdl.18 PT Combine (repainted); Accessories-Asst’d Parts Tractors, Oliver Factory 3pt, Rear Wheel Wts, 880 Front Wts, 990 Hood Pcs & Fender, Tractor Rims & Tires, Tin Work, Side Shields, Grills, Fenders, Hoods, Gas Tanks, Gauges, Seats, Cylinders, 880 Grill & Rebuilt Hyd. Pump, Ford 6000ser. Pts & more!TRAILERS: 2011 Load-Max GN 20'+5' 7k Tandem Axle, Twin Jacks, Toolbox w/10k 12v Winch; Finishline 7'x20' Tiltbed Tandem Axle w/12k 12v Winch; Older 8'x42'+3' Semi Flatbed (as is).TRUCKS: 1978 Ford Lariat F-150 2wd, 400 V-8, C7Auto, Posi, AC, Air Comp, LP (one owner); 1965 Ford F-600 Grain Truck, 390 V-8, 5/2spd, 16' Wood Box w/Hoist (clean); 1964 F-850 20' Wood Box w/Hoist, Twin Screw, 5+4sd, 534 V-8 (engine needs work).AUTO PATROL: 1949 Allis-Chalmers Mdl.AD4 Auto Patrol, 471 Detroit, 12' Mow Board; Baker V-Plow.MOWER: Bad Boy 60" ZT 26hp 2100hrs (weak hydro).EQUIPMENT: JD 843 8RN Low Tin Corn Head S#382552H; Rhino Mdl.900 3pt 8' Blade; Gnuse 8' 3pt Scoop; Krause 3pt 10' Chisel; Front Mount 10' Blade (4020mts); 225, 250 & 275bu Gravity Wagons; Cyclone #250 3pt Cone Spreader; Massey-Harris 3 Bottom Pull Type Plow & 7' Sickle Mower; Dearborn 3pt 2 Bottom Plow; White #588 3pt 5 Bottom Semi Mount Plow; 2pt/3pt Bale Mover; Shop Built 3pt Fork Lift w/48" Forks & 3pt Boom; JD #38 7' Sickle Mower; 6cyl Flathead Continental Power Unit Irrigation Pump w/Gear (shop built); Buffalo 3pt Guidance System; Lg. Assortment Scrap Metal Including, Plows, Balers, Disks, Field Cult, Mowers, Parts Tractors, Elevator & Tool Bar; Other Oliver Equip: Mdl.502 Mdl.502 Self Propelled Windrower 4cyl Wisconsin w/12' Draper Head, #620 S#52575BG & #60 S#15743C Wire Tie Sq. Balers, 3pt 3 Bottom Roll Over Plow, Subsoiler, #550 3pt 3 Bottom Plow, 3pt 4 Bott. Plow, 2) 4 Bottom Pipe Plows, 3pt 4 Bottom Plow, #82 Mounted 7' Sickle Mower, 3pt 3 Bott. 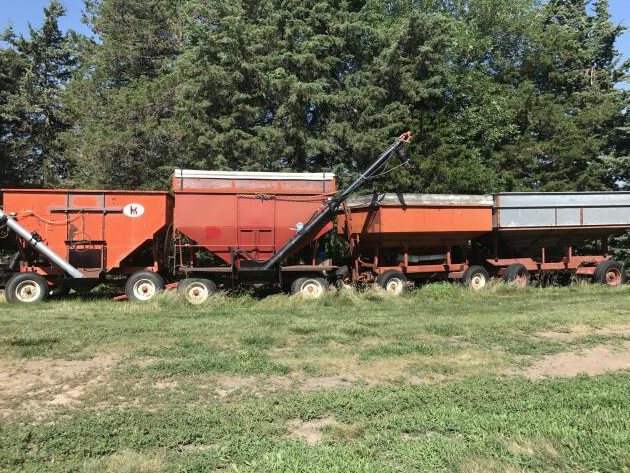 Plow (repainted), Mdl.5 PT 1 Row & Mdl.82 H 2Row PT Corn Pickers, 2) 16 Shoe Steel Wheel Drills w/Seeder, Wood Flare Box & Barge Wagons, Manure Spreader."